“This is a what” is not only a torturous summer-camp game, but an essential question when working to bring a medical device to market. An incorrect answer may cause a company not just financial harm, but also subject them to FDA enforcement, like an import refusal, import alert, Warning Letter, or even judicial action. 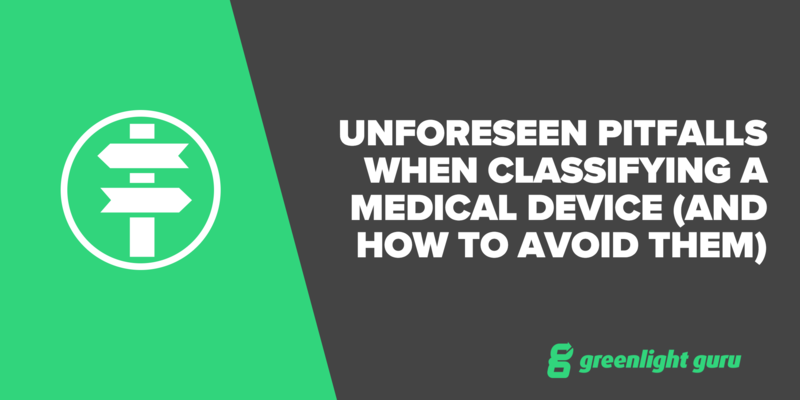 Before marketing any medical device, a company must first classify their device into one of the 1,700 generic types created by the Food and Drug Administration (FDA). Each type is associated with a regulation (e.g., 21 C.F.R. 878.4800) and a three-letter code (e.g., GED). Beyond being necessary for a facility to complete its legally required product listing with FDA, this step is essential in order to understand how FDA will regulate the device. Thus a company will undergo a process whereby it follows one of several techniques to reach the three letter code – like discussed here previously. One may feel tempted to stop the analysis as soon as they determine the seemingly appropriate three-letter code, especially if the device does not require a Premarket Approval (PMA) or a 510(k) premarket notification (a 510(k) clearance). This, however, is a critical mistake as the below story will show. When FDA created the regulations and the three-letter product types, it had a theoretical “picture” of the idealized device(s) for this classification based upon what was being marketed at that time. This picture included the device(s) intended use(s), indication(s) for use, and technology used to achieve the use(s). The regulations and the three-letter codes do not necessary indicate these factors, which can even change with time. This absence, at minimum, can be frustrating as it may lead to more work, but at worst it can lead to FDA enforcement actions if they are not appropriately considered. A change in use or technology can result in a change for the pathway to market and other legal requirements. Beauty salons and companies have used dermabrasion devices for general dermabrasion, scar revision, acne scar revision, and tattoo removal. This device performs the work removing the outer layer of skin using shear force that brushes, rasps, or burrs the skin. This product fits into the regulation 21 C.F.R. 878.4800, and the device code is GED (Brush, Dermabrasion, Manual). Within this context, companies began marketing microdermabrasion products, which use tiny needles to puncture the skin to cause the dermabrasion. These companies went straight to market without seeking FDA approval or clearance for their devices believing that they fit within the type code GED. However, when FDA examined their products, the Agency asserted that microdermabrasion devices did not fit within device code GED because they used a fundamentally different technology (among other issues). For this reason, FDA issued Warning Letters asserting that companies needed to cease marketing them, and others were placed on an import alert whereby FDA sought to prohibit future imports. Bringing a product to market requires significant investments, which can disappear in a moment without a company performing the appropriate due diligence in understanding how FDA will regulate it. Schevon G. Salmon and John F. Johnson III are attorneys with the law firm, Benjamin L. England & Associates and its sister consulting firm, FDAImports.com. They work with companies of all sizes and at all stages of the product and company lifecycle, driving innovative business solutions to complex legal and regulatory issues. John Johnson III practices FDA and Customs law at Benjamin L. England & Associates, LLC with a focus on integration of the two agencies’ regulatory compliance requirements, and has extensive experience with representing FDA-regulated clients before FDA, USDA, Customs and other regulatory agencies.